So what do we do for entertainment in Minnesota during the colder winter months? 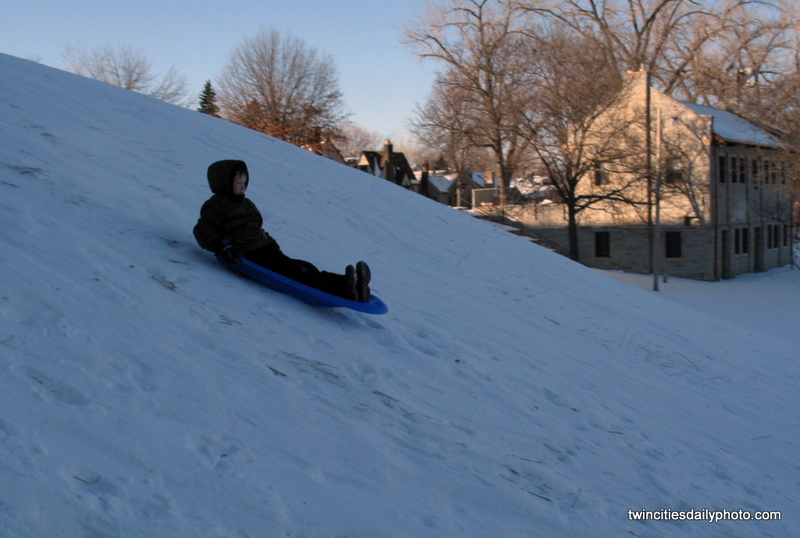 We grab a plastic sled and cruse down a snow covered hill. 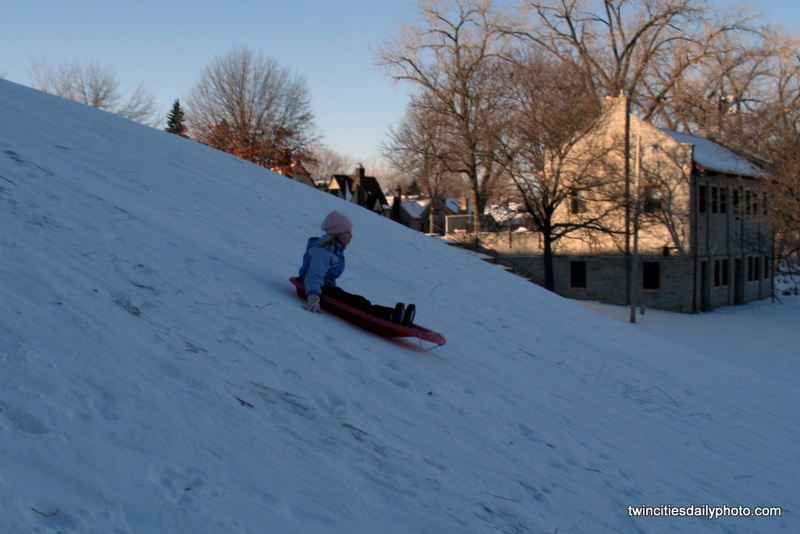 Baker Playground has to be one of the largest hills in St Paul to slide down.